The True 3/8″ axles for our Fixed hubs will be available starting on Friday, November 6. They feature an oversized aluminum center female style axle, and your choice of CrMo or Titanium axle bolts. 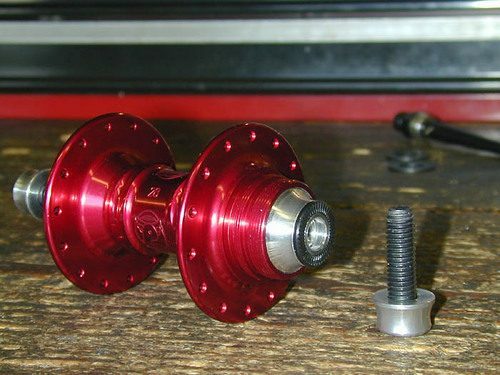 This axle was derived from the axle in our best selling BMX Mini hub, and should make our axles virtually indestructible. The cone spacers are made from aluminum, with a knurled hardened steel washer pressed on to bite into your frame. Read the full release over at Profile Fixed.